The Skinny: Upon entering, you look on the wall and see all of these accolades: best this, best that. Write-ups here, write ups there. Whoever their publicist is, hire them tomorrow – they are selling ice cream to Eskimos. I just do not see what all the fuss is about. The hummus had the look of being good: fluffy, creamy, golden – but the taste was clearly off. Too much cumin maybe? The waiter, pausing from watching football in the back, gave me the option of chicken or gyro shawarma or both, so I did both. The two were like the yin and yang of taste on a plate. Chicken was borderline inedible, but the gyro was surprisingly terrific. In the end, it just seems silly to drive all the way out to Golden for such an uneven plate, when there are excellent middle eastern options on Colorado blvd. 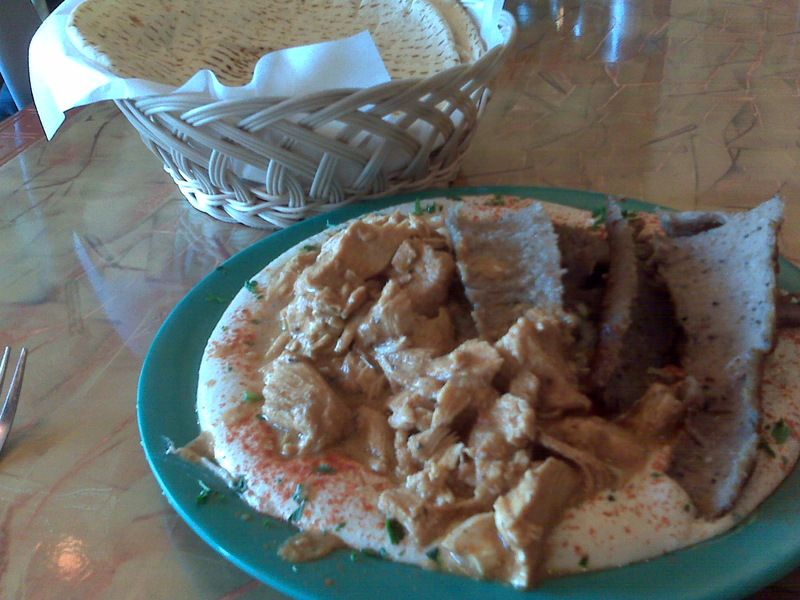 Try Damascus Grill on Littleton Boulevard for great hummus… just putting that out there! I’ll have to give that one a shot. There used to be a place on Colorado blvd called “Sinbad” that had phenomenal hummus. Sadly closed down. Hi there very cool website!! Man .. Excellent .. Wonderful .. I’ll bookmark your website and take the feeds also?I am happy to seek out so many useful info here in the publish, we’d like work out extra techniques in this regard, thanks for sharing. . . . . .
hi!,I like your writing so much! proportion we be in contact extra about your post on AOL? I require a specialist on this space to solve my problem. May be that is you! Looking ahead to peer you. You’re actually a just right webmaster. The website loading velocity is amazing. It seems that you’re doing any distinctive trick. In addition, The contents are masterpiece. you have done a excellent job in this subject! popularidqd entre el público en basic.